SHEBOYGAN, Wis. — Lee Godie’s self-portraits generate warmth, humor, and the stubborn confidence of a woman shaping her own frail destiny. 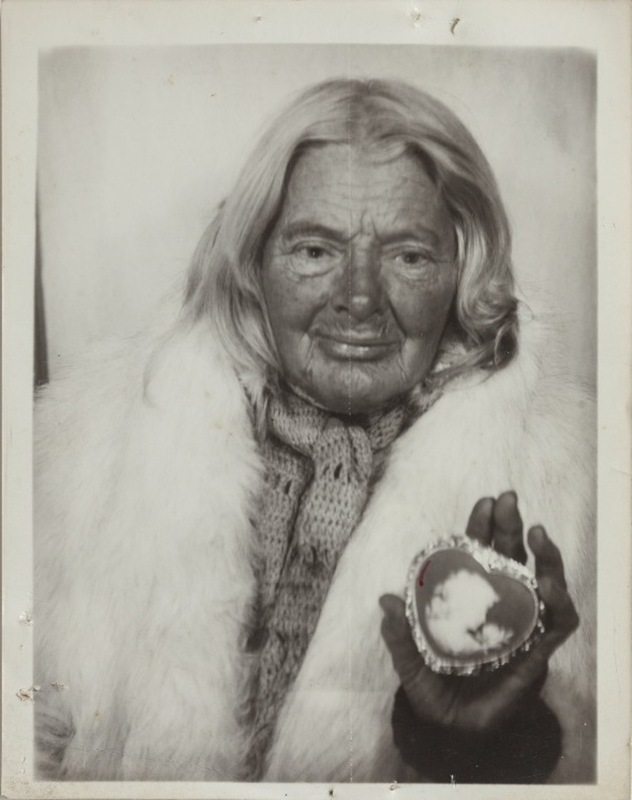 SHEBOYGAN, Wis. — Lee Godie (born Jamot Emily Godee) lived a marginal existence on the streets of Chicago. 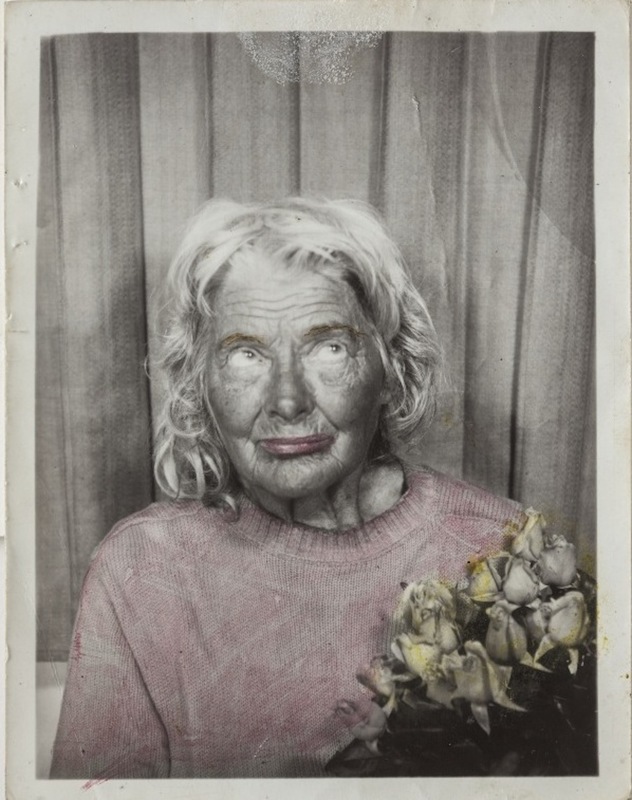 Despite her circumstances, her self-portraits, taken at a bus station photo booth, generate warmth, humor, and the stubborn confidence of a woman shaping her own frail destiny. The images are riveting, funny, disturbing, and dreadfully grungy, summoning the sophisticated dress-up tactics embraced by Cindy Sherman but holding more insistently to a palpable human reality. 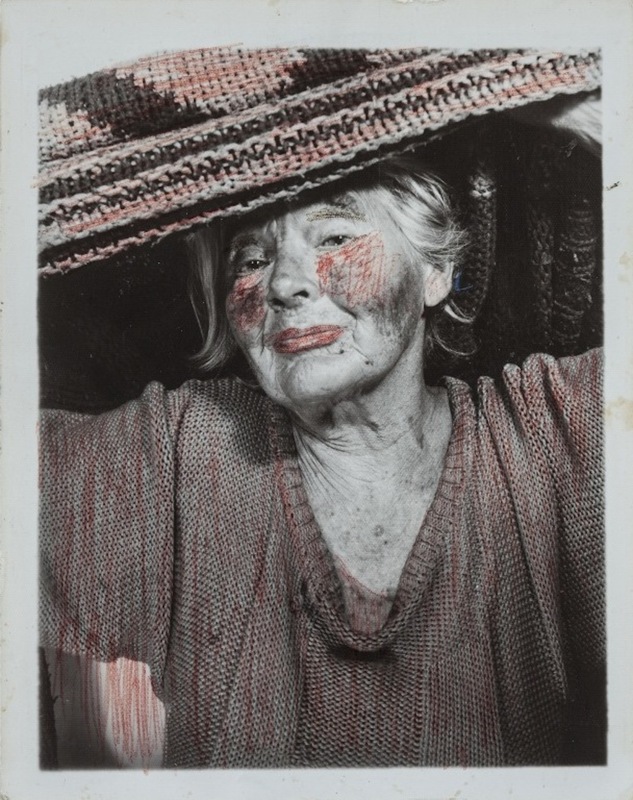 Lee Godie: Self-Portraits, the first exhibition to focus exclusively on Godie’s photographs rather than her paintings and drawings, is now on view at the John Michael Kohler Arts Center in Sheboygan, WI. 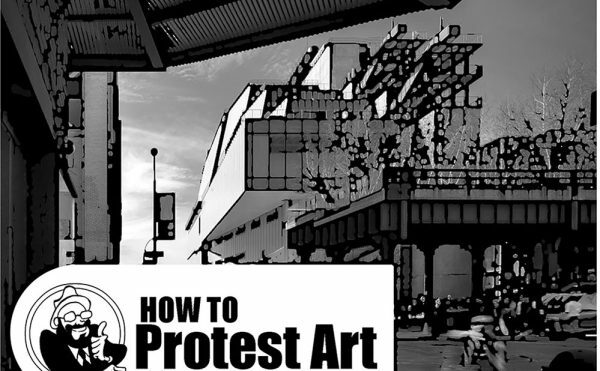 It includes a catalogue with an essay by curator Karen Patterson, who also organized a major Ray Yoshida show there in 2014. 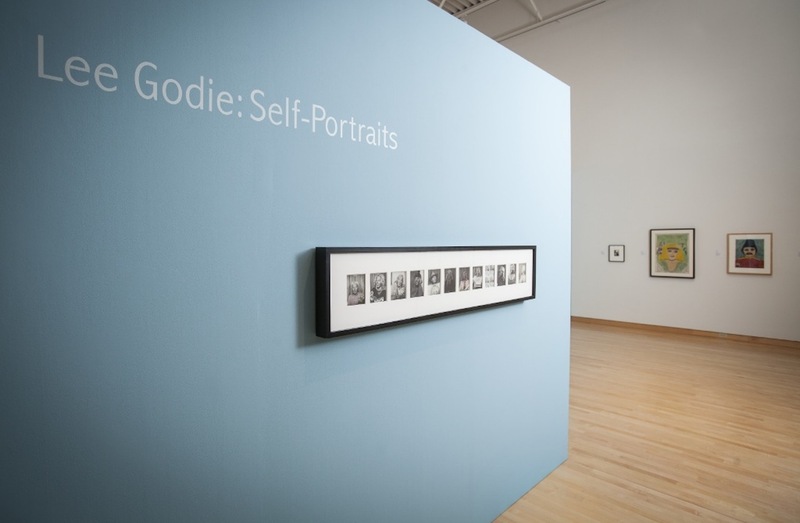 More than 50 of Godie’s self-portraits are included in the exhibition. 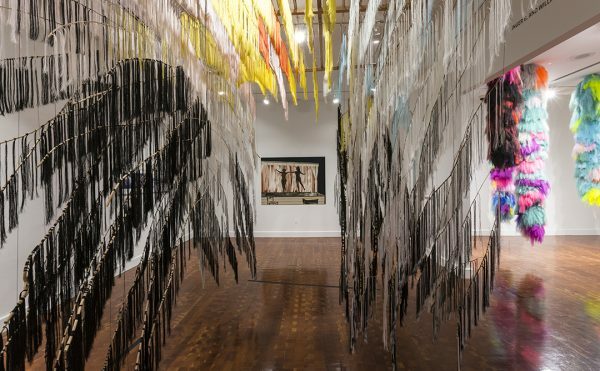 Like her fellow eccentric Midwestern artist Eugene Von Bruenchenhein, who took thousands of images of his wife (and less frequently himself) dressed in pin-up, fantasy-style tableaux staged in their tiny home in Milwaukee, Godie spun glamour from the barest of means. While the Bruenchenheins subsisted on a disability pension, Godie did not even have a home. 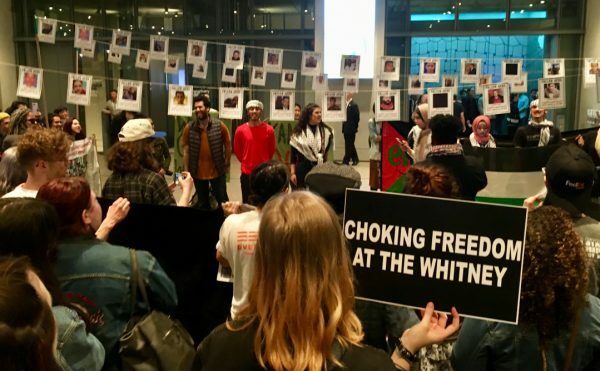 She lived on the streets, storing her belongings in train station lockers, washing in hotel bathrooms, and selling her paintings on the steps of the Art Institute of Chicago from 1968 until several years before her death in 1994 at age 85. She called herself a French Impressionist and became well known while she was alive and well respected after her death, with exhibitions at London’s Hayward Gallery, the Smithsonian Museum of American Art, the Museum of American Folk Art, the Chicago Cultural Center, and Intuit: The Center for Intuitive and Outsider Art, in Chicago. Godie photographed herself at the downtown Greyhound bus station’s photo booth, which generated 5 x 4 gelatin silver black-and-white prints. She would dress up for the images and assume the poses of movie stars, changing her hair, posture, clothing, and props for the various shoots. The photographs became both a document of herself with some crusty truth around the edges and a flight of fancy. The images showed who she was and who she hoped to be all at once. For many homeless individuals, the rigors of day-to-day existence take every ounce of energy. The urge, one might assume, would be to not look at what you have become. Godie was not only able to look at who she was, but also to summon her remaining beauty and dignity when no one else would grant her any status. Against the odds, she held claim to her own identity. As the subject of her own sentence, she created art, asserted herself, and narrated her own story in a significant if not heroic manner. In several images, Godie wears a white fur coat or stole. Her shoulder-length blond hair and wide pronounced cheekbones reveal an inherent beauty, even though the harshness of living in sun, wind, and cold has left its mark. Godie’s large, expressive eyes look up or down in three-quarter poses as she demurely frames her face with her hands, à la Clara Bow, Katherine Hepburn, or Bette Davis. In one image she wears a jacket and brooch, dark turtleneck sweater, and full-brimmed hat. She holds a silver chalice, her pinkie finger extended properly as she appears to be swirling the wine or contemplating its vintage. The portraits get even more interesting when she embellishes them with ink, eyeliner, or lipstick, accentuating her eyes and eyebrows, adding touches of color. In one, Godie’s blond hair hangs freely around her shoulders. She wears a fur coat with a scarf and holds four carnations. Drawing on the surface of the photograph, Godie has rimmed her eyes and darkened her brows with ink and smudged red on her lips and pink on the flowers. In the resulting image, she appears strong and beautiful but also sad — too removed from societal conventions for comfort. The drama of the images lies in Godie’s dangerous marginality paired with her insistently dramatic, playful spirit. Lee Godie, untitled (detail from 12 photobooth self-portrait set), n.d., gelatin silver print, 12½ x 61 x 2½ in. It is said that Godie would sometimes use instant iced tea mix to artificially tan her skin for portraits. Other times she painted onto the image to darken her face. These are perhaps the most compelling of all the self portraits, because within their pathos they speak too clearly of the way we improvise to work things out, as well as our inherent inability to see ourselves as we fully appear to others. As an artist, Godie often painted glamorous, movie star–influenced portraits of men and women, birds and plants. She might paint a doorman or waiter in his uniform, or an image inspired by Joan Crawford, Grace Kelly, or James Dean. By photographing herself, she visually joined these illustrious subjects as a kind of larger-than-life heroine, reminding us that true beauty can sometimes grow from the harshest of climates. Lee Godie: Self-Portraits continues at John Michael Kohler Arts Center (608 New York Avenue, Sheboygan, WI) through February 8, 2016.